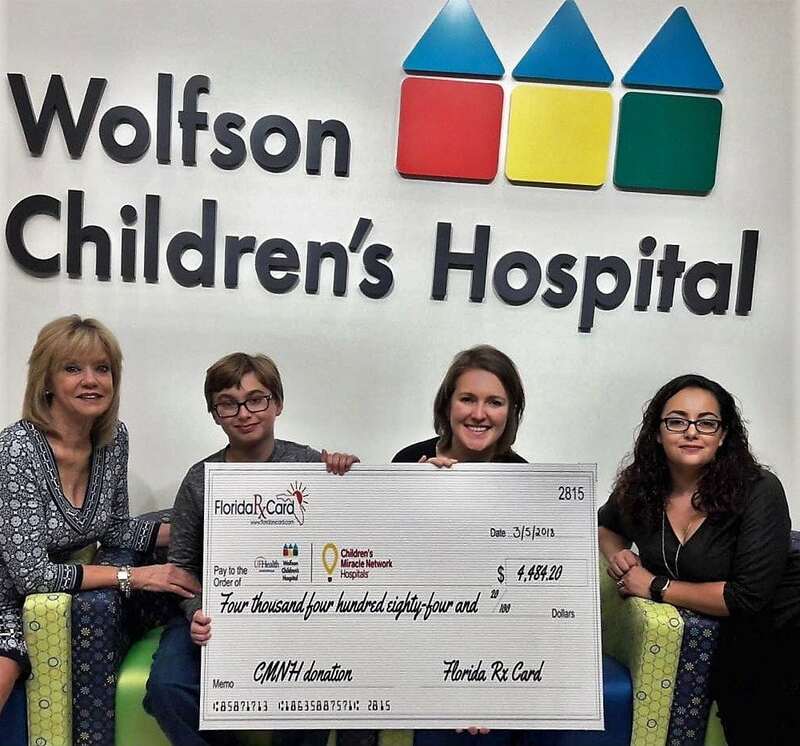 On March 5th, Penelope Geismar, Florida Rx Card Representative, and Adrianna Habash, Florida Rx Card Regional Manager, presented a check to Wolfson Children’s Hospital and brought a cake for the children to enjoy. 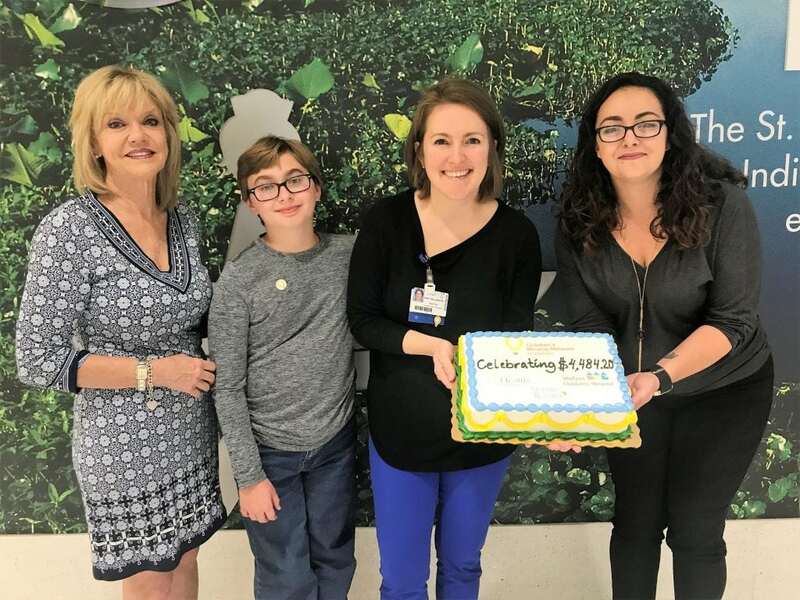 UF Health Jacksonville CMN Director, Emily Williamson, and guest of honor, Elijah Wick, were pleased to participate in the presentation of the check donation in the amount of $4,484.20. Elijah was treated at Wolfson Children’s Hospital after undergoing fetal surgery at 16 weeks gestation. Soon after being born he was diagnosed with a rare disorder called Eagle-Barrett syndrome. Elijah is now 12 years old and loves living life to the fullest. This year he has been chosen as the 2018 CMN Jacksonville Champion and will be representing CMN hospitals in the NE Florida community. 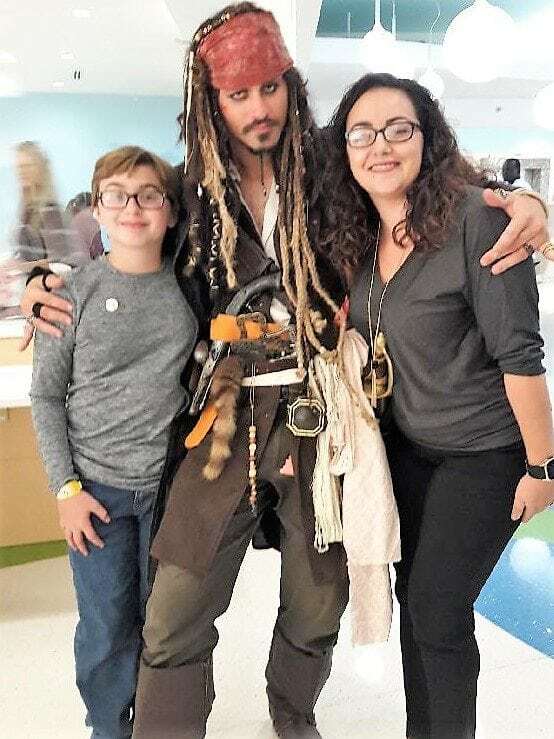 Florida Rx Card team members have become a consistent presence in Wolfson Children’s Hospital. Most recently, the team toured the hospital and brought crafts for the Child Life Development team to do with the children. The relationship has become so strong that Mrs. Williamson takes boxes of Florida Rx Cards to all the events she participates in to hand out to the attendees!